It is a cold December afternoon and for once I am glad to be at home, nice and warm, tucked up next to my computer. As a businessman, there are lots of other things to consider, apart from wedding photography - and recently I have been concentrating on why I do what I do, and branding to get that message across. Having enrolled on to a referral marketing course, by the referral institute, I have had my eyes opened somewhat. I have found that having a business and having your eyes open is a distinct advantage. A few lessons in and Allison, our tutor is doing great in getting us to where we need to be. I say we because there are a few of us on the course together. The reason I do what I do, wedding photography is that I know how precious photographs are, and sadly many people only realise this once it is too late. I discovered this fact for myself, when my Mum died at a quite a young age. Marriage is an important time of life and all I want to do is to show people how important this is. Hopefully then, they would love a top wedding photographer to capture their love and laughter for happy ever after. On to the logo then. I spent ages trying to think of some great icon, a nike swoosh, a golden M, or even an apple! Then the light came on, if using your company name is good enough for Coca Cola, then it's good enough for me. The logo is important to me, because as we spread our wings from Darlington to Middlesbrough, Hartlepool, York, Essex, Kent, London and Palm Beach Florida - I needed something to tie everything together. I want this to be the logo above. Most of the website are going to be a pure black and white design, with the accent colour being purple. 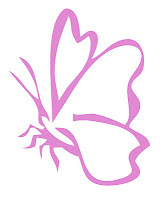 The Butterflies are also important to the logo design. Butterflies to symbolise change and there's not many changes bigger than deciding to committ to marriage! Personally the butterflies symbolise the fact that they are there one moment and gone the next. So this ties in with my message of how important it is to capture the beauty, the emotion, the love and the laughter, before it has gone. The beauty of wedding photographs is that they last forever. Even on a cold winters afternoon, you can re-live your wedding day memories by taking another look at your wedding album. You can also see that the logo has two butterflies, showing that here at portrait wedding photographers we have balance. Balance to use our expertise as wedding photographers to match the needs and requirements of our brides.